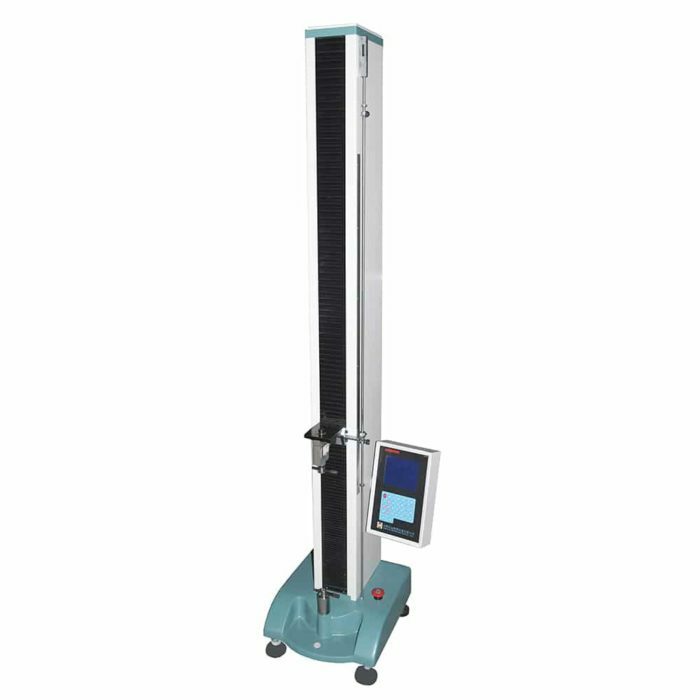 Lea Strength Tester, also named Electronic Strength Tester or Lea yarn Strength tester. Lea strength tester is suitable for testing tensile strength and elongation of yarns, fabrics and other materials, It is based on checking principle of constant rate of elongation (CRE). Machine with correct clamp can meet with different standard. 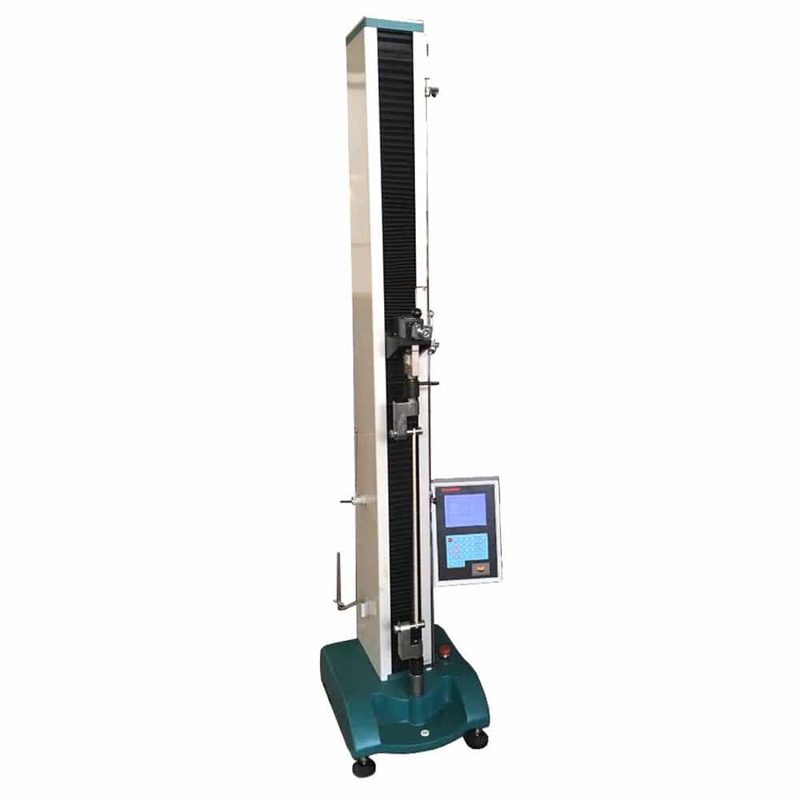 Electronic Strength Tester is an ideal instrument that is used in measuring breaking strength, ratio of elongation and other technical targets of woven fabric and non-woven fabric. With the instrument, stretching tests, including constant speed, timing, tearing, peeling off, constant load, constant elongation, bursting, elasticity recovery and other tests can be done. 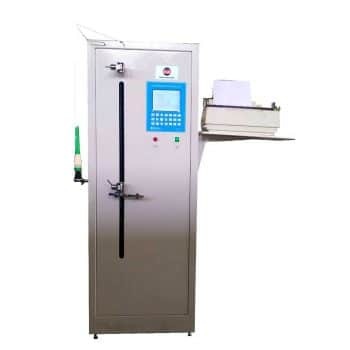 The instrument, based on checking principle of constant rate of elongation (CRE), is the necessarily popularized one to accurately evaluate related technical targets of fabric, which has many advantages: micro-computer control, displaying with big liquid crystal screen, disposing data automatically, printing output, setting program conveniently and measuring in a fast and easy way. Multi-function control panel, large screen display, convenient to use. Imported sensor from American Tedea. High-force loading conditions, rigid frame configuration, precise ball screw preload. 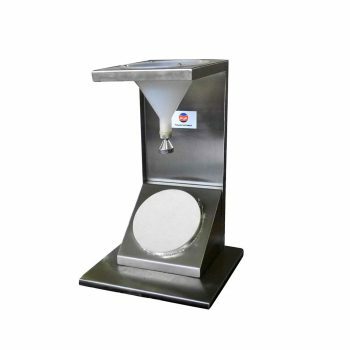 Two kinds of measuring range are available. Small measuring range is suitable for peeling, bursting and other small force test, which can improve accuracy to 0.1N. 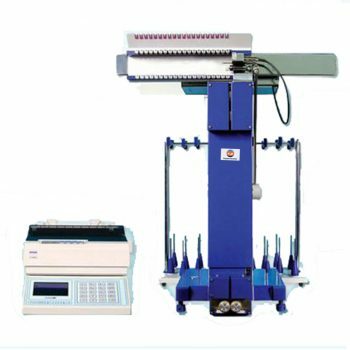 Lea Strength Tester is used in measuring breaking strength, ratio of elongation and other technical targets of woven fabric and non-woven fabric. Air compressor is necessary during the testing . So customer should equipped with air compressor at their lab. Machine with bursting clamp can do bursting testing .if meet with lea yarn clamp. Can do lea yarn testing .of course machine can equipped with computer and printer. Customer should notice us in advance. Lea Strength Tester must be earthed well. Connect the earth line to earth symbol on the machine’s shell. Pay attention to fix the earth line separately. Don’t use the same earth line with other machine. The machine must be fixed on stable place without visible shaking source. Its operation temperature is （20±15）℃, relative humidity is bellow 85% and there is no causticity medium and conductive dust. During the transportation in order to avoid make the machine’s components fall off, loose and distort please don’t convert it. When you fixing it please checking it firstly. If you need more information about Electronic Strength Tester Please contact with us.